A Northwestern runner competes in a race. The Wildcats failed to earn any NCAA Preliminary berths this season. 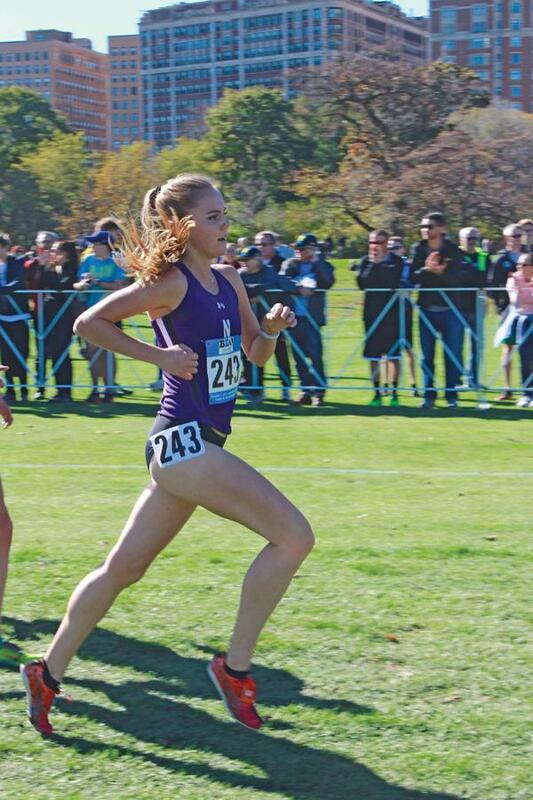 Northwestern’s season ended with a bang this weekend at the Dr. Keeler Invitational as the Wildcats did well across the board, especially seniors Elena Barham and Camille Blackman. 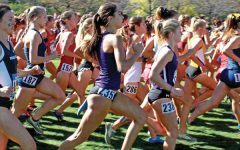 The weekend in Naperville, Illinois, proved fruitful for the Cats, with four runners finishing in the top 25 in the 5,000 meter event and Barham placing second overall in the 10,000 meter event, nine spots better than her 11th place finish last year. At the San Francisco Distance Carnival at the beginning of the season, Barham set a personal record in the 10,000 meter event, and this weekend she broke that record. The three-time Academic All-Big Ten member cut 11 seconds off her 10,000 meter time, finishing at 35 minutes and 41.78 seconds and capping off her career on an especially high note. Coach ‘A Havahla Haynes said the 10,000 meter event is difficult to manage physically and mentally because of its length and that this was mentally one of Barham’s best 10,000 meter races of her career. On top of Barham’s success, Blackman came in fifth overall in the 5,000 meter event, the fastest of all the Cats participating in that event. Blackman, also a three-time Academic All-Big Ten honoree, said she only had a month and a half to train for this race coming off an injury. Even after her top-5 performance, Blackman said she was disappointed in how her career came to a close this weekend. “I wasn’t too happy with my time, but I was proud of all the work I put in such a short amount of time,” Blackman said. Throughout the season, Barnes and Blackman have set the tone for the other runners, Haynes said. Blackman said she felt she set a good example for the team’s more junior runners with her training after her injury, even though she didn’t achieve her goal this weekend of qualifying for the NCAA Preliminaries next weekend. Additionally, Blackman said although the seniors weren’t required to run in the indoor and outdoor seasons, they worked hard for themselves and the rest of the team looked up to them. Even Haynes said the team fell short of its pre-outdoor season goal of qualifying this weekend. However, she said she was proud of the teamwork the Cats displayed and fostered throughout the competitive season and is looking ahead to next fall.